Dr. Elliot Street Managing Director of Inovus Medical and NHS Clinical Entrepreneur shared with us last week at ASPiH 2018 UK in Southport that the company had successfully raised a funding round of £500,000 to continue their innovation in surgical simulation products. This is exciting news for the healthcare simulation industry as there are so very few startups in the space creating revolutionary innovations which reduce cost and increase accessibility. During the ASPiH event HealthySim had a chance to learn more from Dr. Elliot who suggested the goal of Inovus is to produce affordable, realistic, and accessible surgical simulation products. Stay tuned for a video demonstration from HealthySim soon! Inovus Medical, a leading designer and manufacturer of medical and surgical simulators, has announced the successful completion of a £500,000 investment from NPIF – Mercia Equity Finance, which is managed by Mercia Fund Managers and part of the Northern Powerhouse Investment Fund. 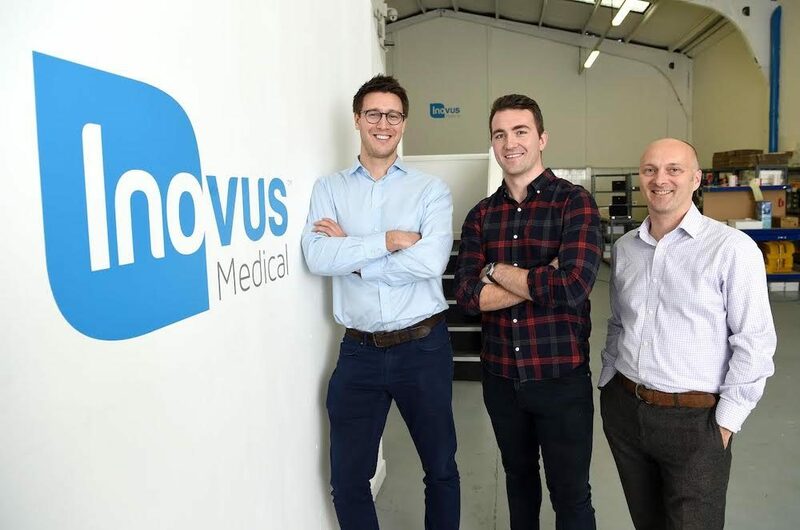 The investment is part of a £700,000 investment round alongside an angel investor and will help to create four new jobs, accelerating the growth of Inovus Medical’s commercial operations in the domestic and international markets. The company also plans to utilize the funding to add a suite of new 3D printing technologies to its manufacturing processes and introduce new software additions to its existing product offering. Inovus Medical has had an impressive year of growth as the company has more than doubled its head count, moved to new headquarters in St Helens, Merseyside, and won a number of awards, including the EIT Health Headstart Award and most recently the British Chamber of Commerce Regional Small Business of the Year Award. This impressive growth was helped by a previous £80,000 investment made by NPIF – BFS & MSIF Microfinance in December 2017. This latest investment follows the launch of the company’s most recent innovation in healthcare simulation, the Bozzini Hysteroscopy Trainer, a revolutionary, turnkey surgery simulator for teaching the skill of hysteroscopy (operating on the womb). This injection of capital is set to help Inovus improve adoption of innovative products such as the Bozzini in the UK and globally through its growing distribution network. Inovus Medical’s CEO, Dr Elliot Street, said: “We are extremely excited to have Mercia as a partner on our journey of expansion in what is an evolving industry that presents a great deal of opportunity. Learn more on the Inovus Medical Website Today!